For the CONTACT 2015 exhibition at Honolulu Museum of Art School, organizers asked artists to respond to the contact period in Hawai‘i from the 1890s to 1930s. Director Ann Marie Nalani Kirk’s two films bring into focus some of the complexities of this period—exploring the ways in which Hawaiians navigated the enormous cultural, political, social and economic changes in both the urban-core, as well as in the country. A moderated dialogue with the director follows the screening. Directed by Ann Marie Kirk. 1996. 29 mins. This is the story of 90-year-old Ruth Makaila Kaholoa‘a, a force of nature from Waipiʻo Valley on Hawai‘i island. This film vividly captures the spirit and strength of this beautiful Hawaiian woman. Directed by Ann Marie Kirk. 2010. 60 mins. 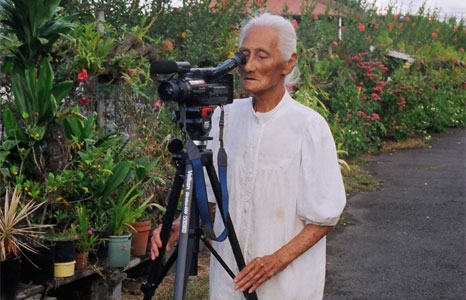 Homealani is the story of Oliver Homealani Kupau, the filmmaker's grandfather. Born the year her grandfather died, Ann Marie Kirk takes us on a journey to discover who he was as an indigenous Hawaiian man, those whose lives he touched, and the legacy he left for them.